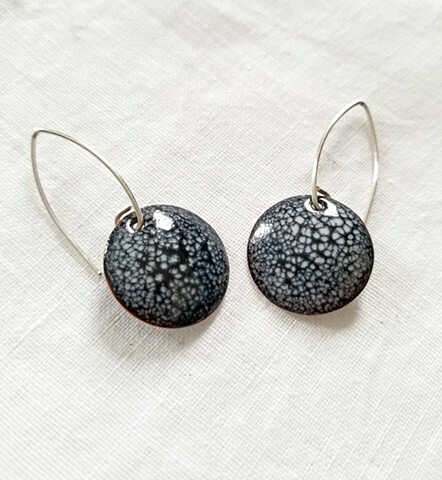 These are Copper Enameled Earrings. The size of the disc is 3/4". Total length with sterling silver earwires is 1 and 1/2".